Excel can open CSV (Comma Separated Value) format files. 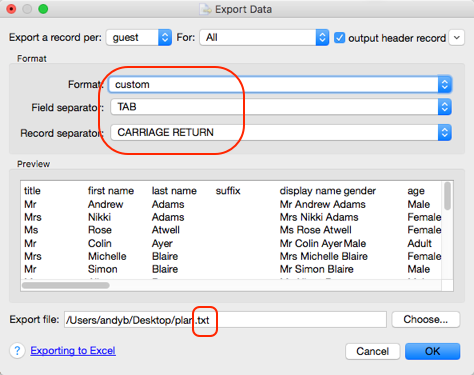 However some versions of Excel have problems with .csv files that contain non-ASCII (e.g. non-English) characters. If you have problems with non-ASCII characters you should try exporting your data from the Export Data window as a .txt file with Tab delimiters. 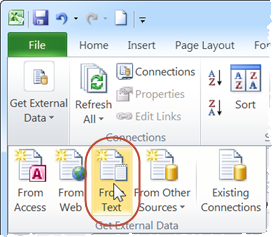 Then open it in Excel using Data>From text and choose Unicode UTF-8 as the text format. The Excel user interface may be different, depending on the Excel version.